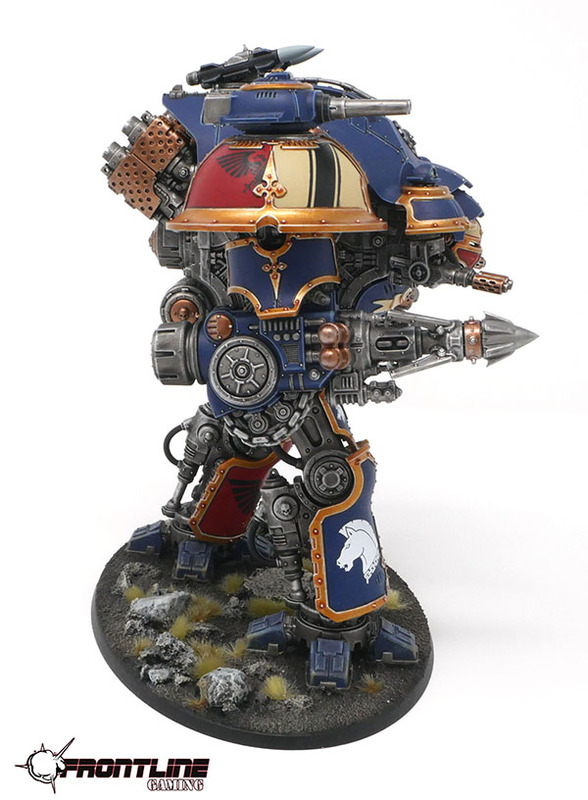 Completed Commission: Imperial Knight Castellan and Valiant. 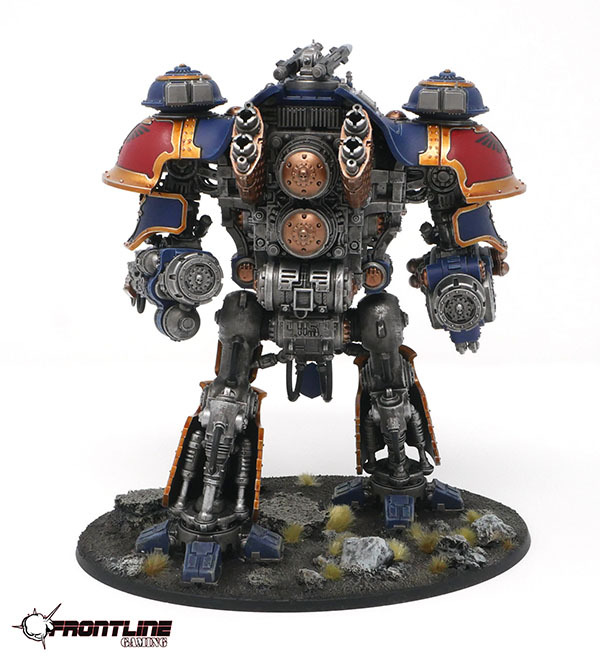 This fantastic Imperial Knight Castellan commission was painted by the FLG Paint Studio in House Raven colors! 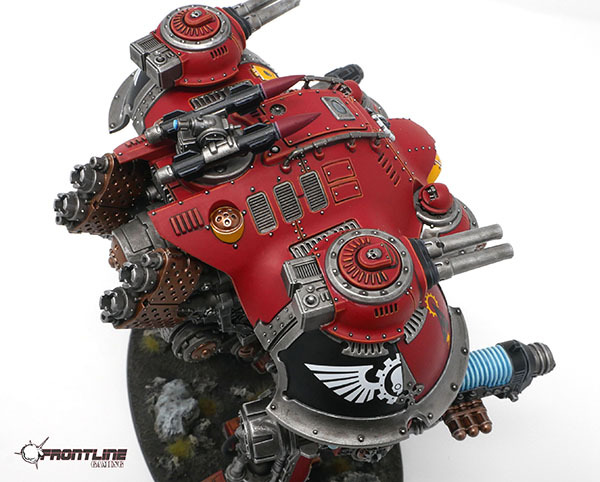 The Castellan features some awesome freehand, decals and color choices. 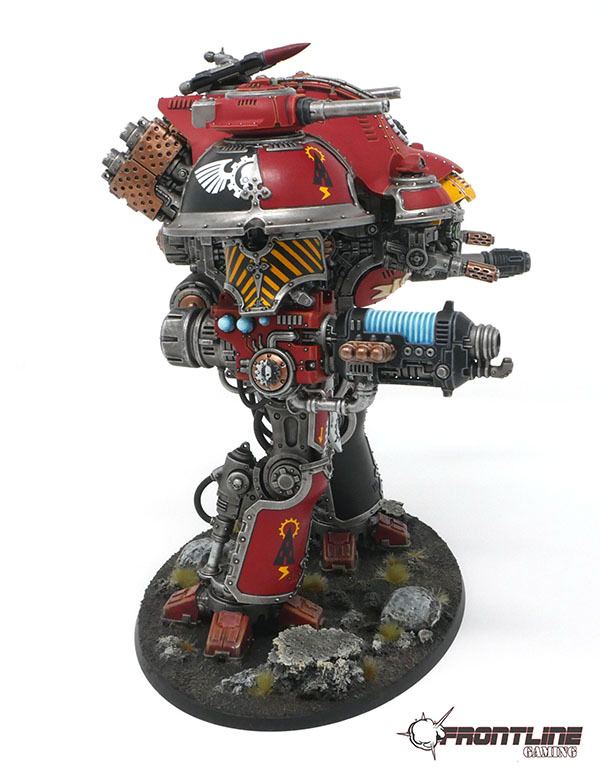 Consider us for your next 40k paint commission! These are both Tabletop Plus paint jobs with Level 3 basing and decals added on. 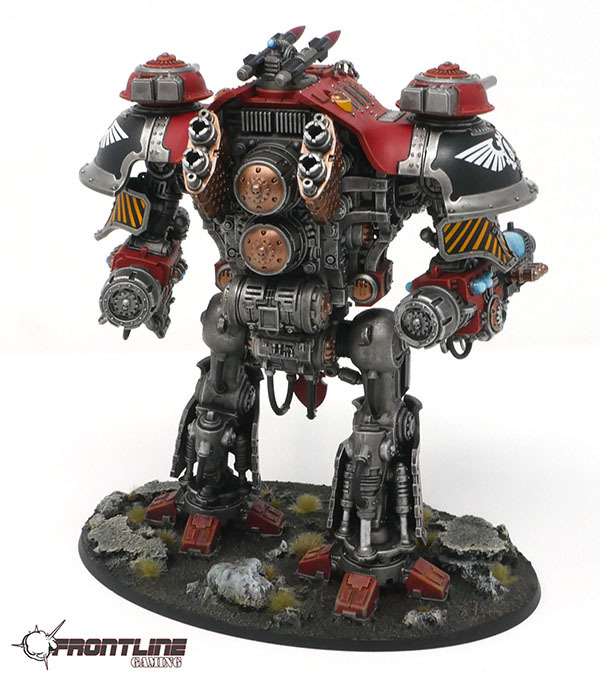 And as always, you can purchase these models from Frontline Gaming at a discount through their web-cart!